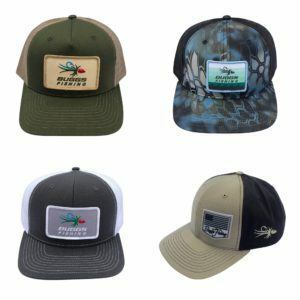 This is a Classic Mesh Back Trucker Hats in Army Olive and Tan. 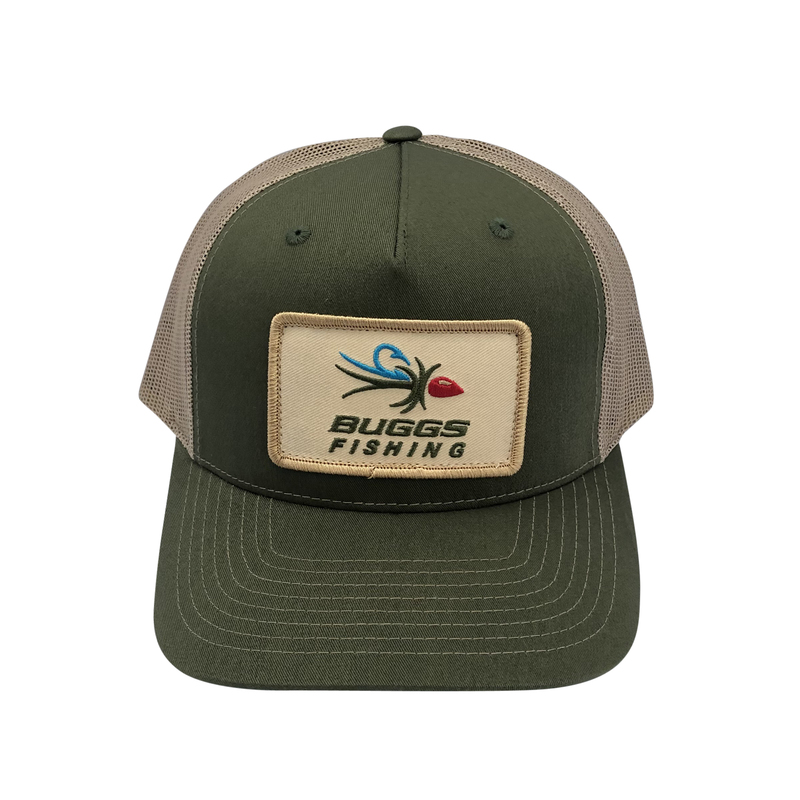 The embroidered Buggs Patch in front matches the Tan mesh in the back. 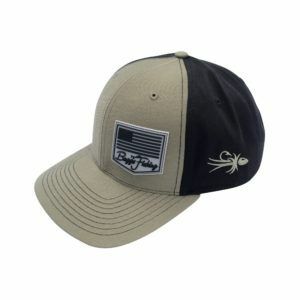 This is a five panel hat - the olive panel in front is one piece so no middle seam. 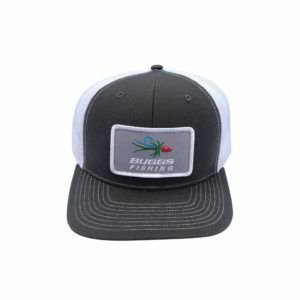 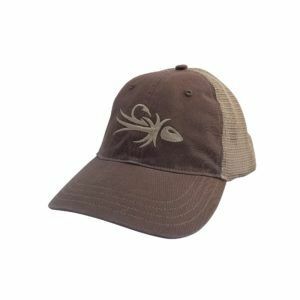 It's a Mid-Pro Structured Hat with a slightly curved bill and adjustable snap back.